Power Rangers as never going to really work. The original is a colourful, camp, silly show with super-annoying teenagers who all get on, have incredible hair and teeth and use massive robots to fight dodgy looking monsters. It is a product of the 90s and belongs there too. Clearly in a time of huge superhero franchises, Lionsgate and Saban see the chance to update, reboot and launch a new series based on the original show but changes have to be made and that is where the issue lies. Someone decided it has to be darker. 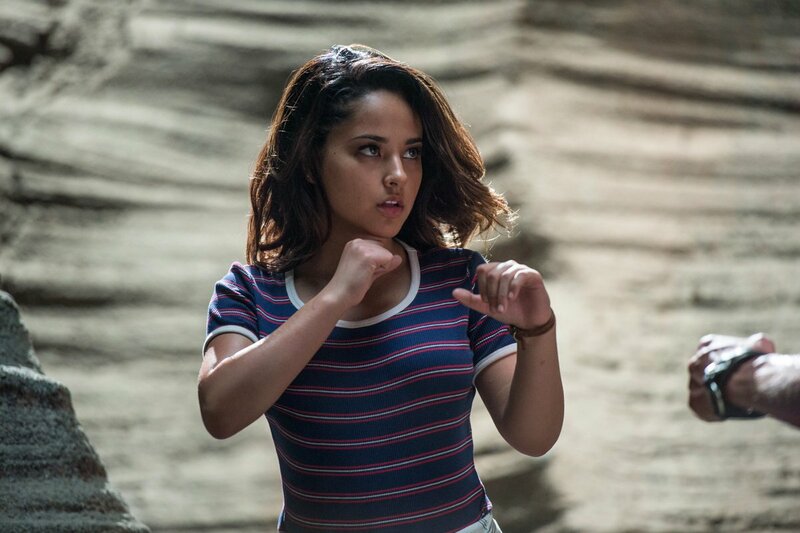 Power Rangers loses the colour and the fun and decides to go for a grey pallet, darker edge and characters who all have “issues.” This means that the teenagers lose their annoying super-positive attitude and are replaced by moody, brooding counterparts who each carry some emotional baggage. Strangely, this is an aspect of the reboot which works. Rather than interchangeable characters inside the Power Rangers suits, we have developed characters who each demonstrate a reason to be invested. From the autistic super-genius with social issues to the young carer and ostracised popular girl, each of the characters have some sort of crutch which makes them much more interesting and makes for some decent storytelling early in the movie. In fact, this becomes Power Rangers’ biggest strength – discovering the teenagers. All good superhero origin movies have their discovery of powers and what can be done with them and Power Rangers is no different, from super strength, the ability to jump really high and access the secret base of (phoning it in) Bryan Cranston’s Zordon. Unfortunately, it is with the latter than this movie fall apart. Somewhere along the way, someone forgot to tell the producers and director Dean Isrealite that this is a Power Rangers movie, which is why we don’t see the titular characters in all their glory until the final twenty minutes. What we get instead is an extended training montage, with self-doubt, conflict in the group and plenty of martial arts fighting with faceless and generic rock monsters. Luckily, there is a decent villain to force proceedings forward. Elizabeth Banks is clearly enjoying playing classic Rangers villain Rita Repulsa and she gets plenty to do here. She is a clear threat to the Rangers and manages to add some actual serious malice to a character who lacks any threat in the original show. It is just a shame that we don’t get to see a proper battle with Rita or her minions until the finale of the movie. It is also a shame that this becomes the now familiar CGI smash-fest which lacks any heart, feeling or direction. There are moments where nostalgia will raise a smile but anyone looking for an actual Power Rangers movie where they see their heroes in action is better seeking out the 1995 TV movie. 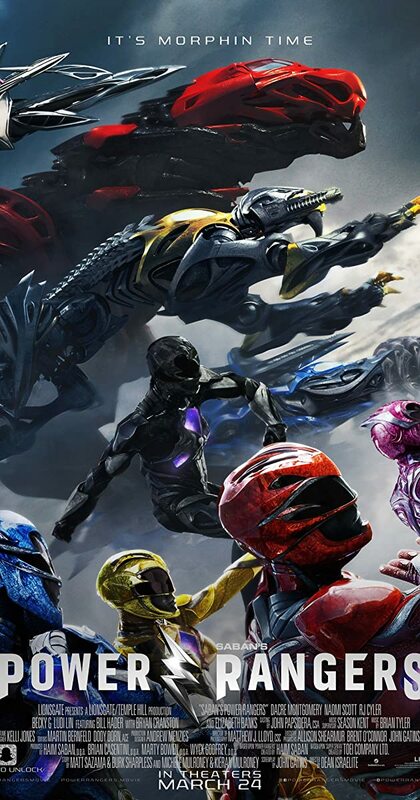 Overall, Power Rangers tries to bring the 90s stable up-to-date but stumbles with a concept which belongs in the past. It gives the movie a darker edge, which benefits the characters and the villain but also means we don’t get to the see the traditionally colourful heroes until the finale, by which time you may remember this is supposed to be a Power Rangers film.